This is a great recipe for any time you’re entertaining. It works for a holiday meal side dish, or for game day entertaining. It’s so quick and easy, and can easily be doubled or tripled for entertaining or to feed a crowd. 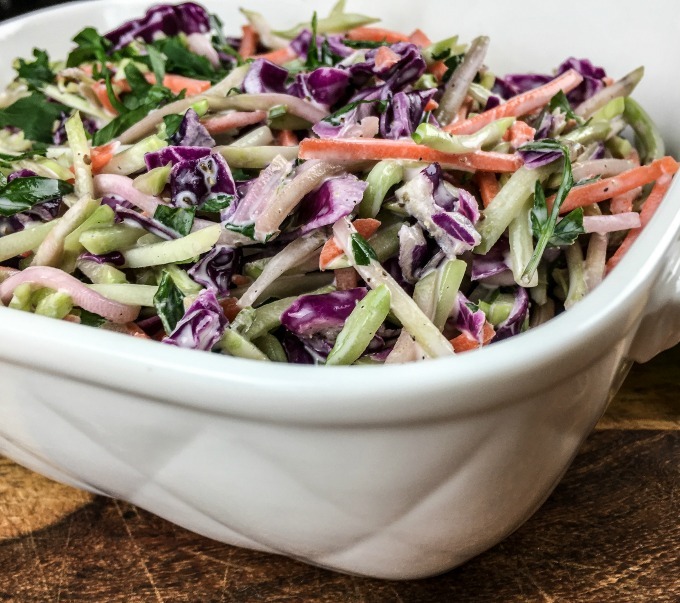 Add broccoli slaw, parsley, avocado oil mayonnaise, cider vinegar, and celery seed to a large glass or other non-reactive bowl. Serve immediately or place in the refrigerator for a couple hours to chill, if desired. See how easy that is? 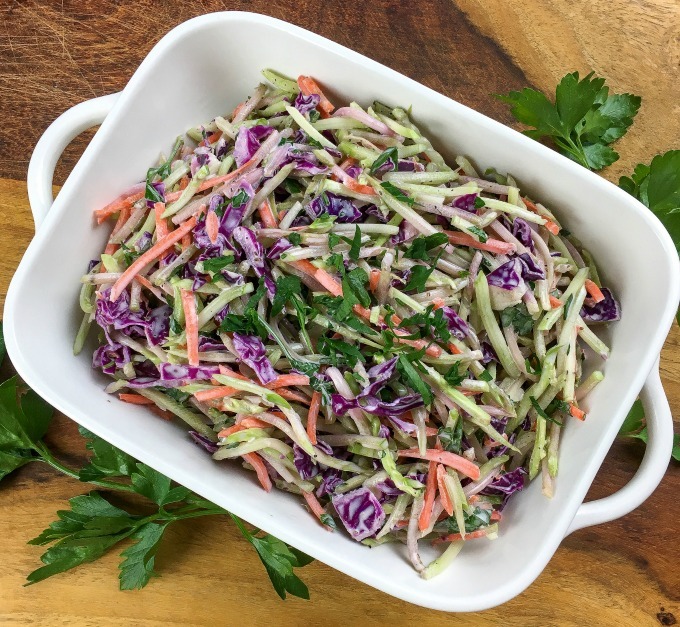 You can literally have this keto friendly broccoli slaw on the table in just a few minutes. I do prefer it chilled, and giving it time for the flavors to mingle, but hey. Personal preference. This is also really good when used in a sandwich or wrap, like these Pulled Pork sliders. They’re not keto, but could easily be made so with a couple of small changes.The broccoli salad gives a great, tangy taste and some crunch. 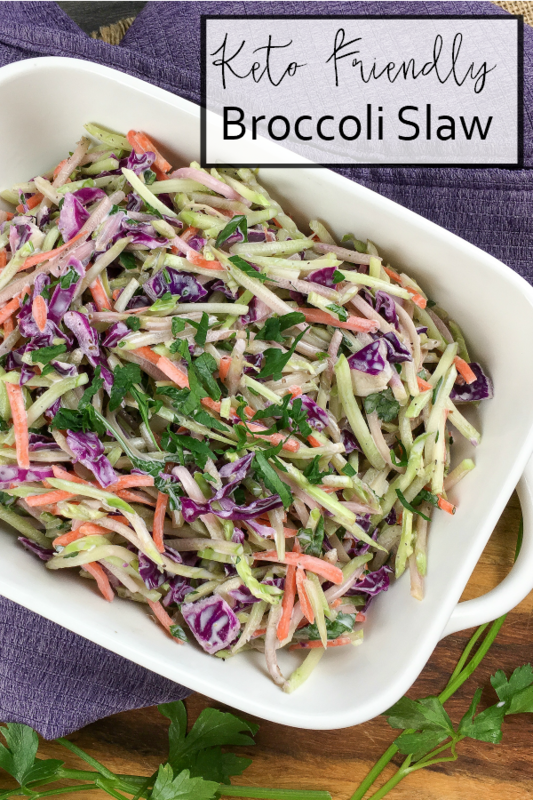 Like this low carb broccoli slaw recipe? Pin it for later!